The Jungle Cruise at both Magic Kingdom & Disneyland Resort is transformed for the holidays. The story here is that the skippers were feeling homesick and had presents & decorations shipped to them. Of course, these were on the crashed plane you see during your cruise so things don’t quite work out as expected. I love the Jungle Cruise & I have to ride Jingle Cruise multiple times I’m in the park just for the unique holiday themed “jokes”. One detail you may miss is that the skippers are usually wearing jungle themed Christmas hats. Leave it to Disney to think of all the details! We’ve covered MVMCP here before, but it wouldn’t be right if I left it off this list! This is a separately ticketed event which runs select nights in November & December in Magic Kingdom. The party runs from 7 to midnight & features the Mickey’s Once Upon A Christmas Time Parade & Holiday Wishes. Both of these should not be missed. It’s worth noting that the parade joins the normal daily rotation in the park the week before Christmas, so if you’re not able to attend the party (or don’t want to pay the extra ticket cost) then you can see it then. Just be aware that this is during the busiest crowd levels of the year, so it won’t be the same overall experience as the party nights. By far my favorite decoration at any of the Walt Disney parks. Cinderella’s castle is transformed into shimmering “icy” lights during the holiday season. The lights usually go up early to mid November and are lit nightly during the Frozen Holiday Wish stage show. The lights are truly amazing and I find myself staring at them several times a night. Since the Castle was expanded this year to include two turrets on each side they are covered in lights as well. These lights are part of the reason why I love Magic Kingdom at night so much! 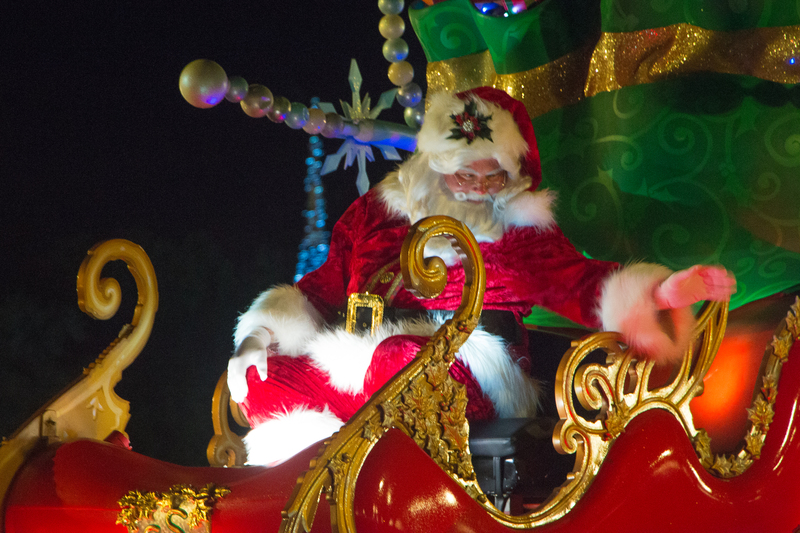 Sadly, Hollywood Studios is losing one of the best holiday traditions at Disney World. The Osborne Family Spectacle of Dancing Lights is being retired after twenty years to make room for Star Wars Land. I’m hopeful that Disney will relocate the display to another area in the park or maybe have something similar in one of the other three parks. 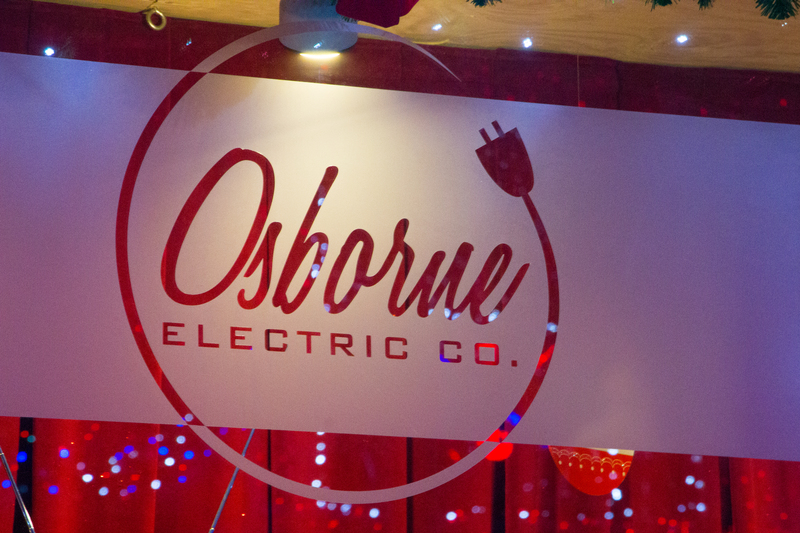 The Osborne lights are an amazing, immersive (& often crowded) experience. Hopefully if Disney does decide to have another similar attraction they can improve the overall design rather than stuffing it in the Streets of America. The crowd control can be an issue & Disney frequently has cast members directing crowds to the event. The routes you’re forced to take don’t make sense at all so it can be a frustrating experience just to get to the lights. Having cast members yell directions and orders at you really isn’t part of the holiday spirit. 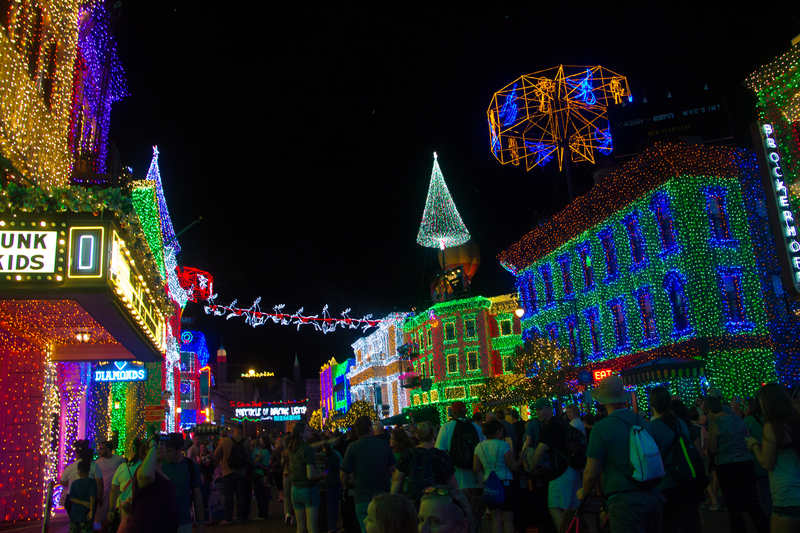 There’s still other holiday decor & music throughout the park, but the Osborne lights was the park’s main draw. I imagine this will change once both Star Wars & Toy Story lands are complete. Epcot has some truly unique holiday traditions. Unfortunately I haven’t been able to experience the two main events in person as they always start right after I leave during my holiday trips. Hopefully I can change this during the 2016 holiday season! You can learn about how the holidays are celebrated around the world in the World Showcase. Most countries have their version of Santa tell the story of their holiday. This can be a great way to see how each culture celebrates the best time of the year! This usually starts in Late November and runs through December. This event can be extremely popular depending on who the narrator is. The Candlelight Processional is a music & story show where the traditional religious Christmas story is read by a celebrity narrator & a choir sings Christmas songs. Neil Patrick Harris is a frequent (& extremely popular) narrator for the processional. This event was started at Disneyland by Walt & Epcot carries on his tradition. Disney will release a schedule of the narrators a few weeks in advance so you can plan accordingly. The Candlelight Processional runs every night from late November to the end of December at the American Gardens Theater. Animal Kingdom does the least for the holidays out of the four parks. There are no special events in the park. There is holiday decor & the park does have a large Christmas tree at the entrance. The tree alone is worth checking out if you’re headed to AK. Since Disney plans to start having the park open during the evening I imagine they’ll start including more holiday events. Pandora would make a great area for some holiday cheer! This list isn’t extensive as Disney has many little things that happen throughout the season. If you’re planning to visit during the holiday season I would suggest going mid to late November or early December. This will be when crowd levels are lower than the rest of the holiday season. 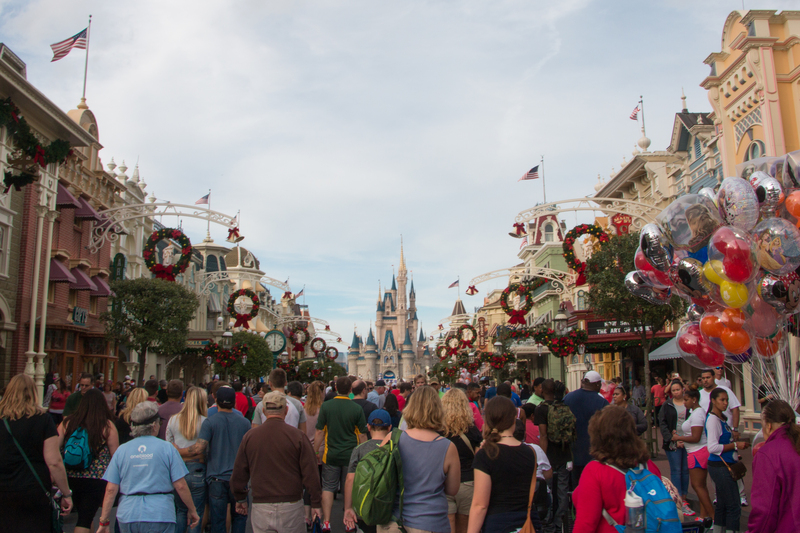 The week after Christmas is the busiest time of the year at Disney World. During that week in 2014 Magic Kingdom reached capacity several times and had various stages of closure. One of my friends went during that week for their first trip to Disney World. Unfortunately they didn’t tell me since I would have advised against it! Make sure to plan ahead during the holiday season so you can make the most out of your trip! 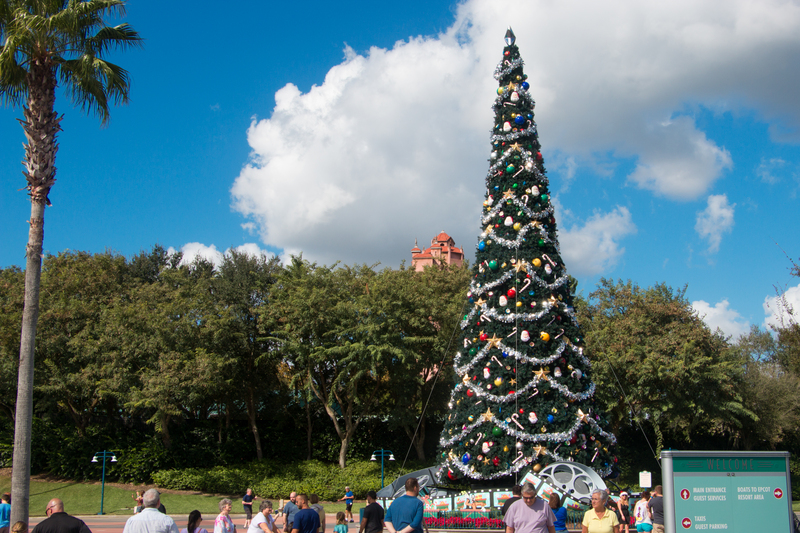 Planning a trip to Disney World during the holidays? What’re you most looking forward to or what is a tradition that you have every year? Leave your comments below or as always, feel free to reach out on Twitter or Facebook!